After sub-zero temperatures on Wednesday night and Thursday morning, the Ohio Valley will see a warm up for the weekend and early next week with unseasonably warm temperatures. The bitter cold temperatures and wind chill on Wednesday and Thursday closed area schools and even some businesses. On Thursday morning, small pieces of ice were floating down the river as the sun rose over the hills. 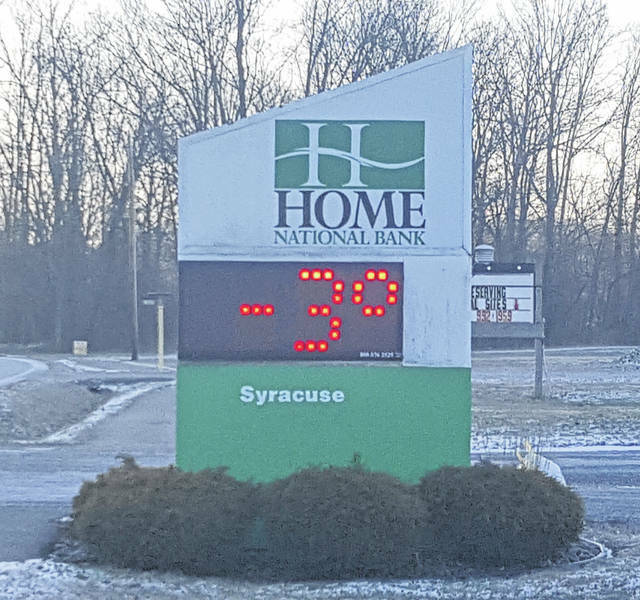 In Syracuse, the Home National Bank clock and thermometer showed a temperature of 3 degrees below zero. A few snow showers are in the forecast for Friday morning before temperatures climb into the 50s over the weekend. https://www.mydailysentinel.com/wp-content/uploads/sites/14/2019/01/web1_2.1-Frozen-1_ne201913110213205-1.jpgAfter sub-zero temperatures on Wednesday night and Thursday morning, the Ohio Valley will see a warm up for the weekend and early next week with unseasonably warm temperatures. The bitter cold temperatures and wind chill on Wednesday and Thursday closed area schools and even some businesses. On Thursday morning, small pieces of ice were floating down the river as the sun rose over the hills. In Syracuse, the Home National Bank clock and thermometer showed a temperature of 3 degrees below zero. A few snow showers are in the forecast for Friday morning before temperatures climb into the 50s over the weekend. https://www.mydailysentinel.com/wp-content/uploads/sites/14/2019/01/web1_2.1-Frozen-2_ne201913110215982-1.jpgAfter sub-zero temperatures on Wednesday night and Thursday morning, the Ohio Valley will see a warm up for the weekend and early next week with unseasonably warm temperatures. The bitter cold temperatures and wind chill on Wednesday and Thursday closed area schools and even some businesses. 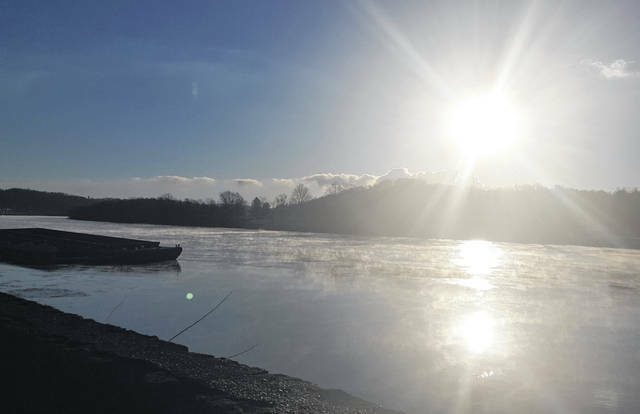 On Thursday morning, small pieces of ice were floating down the river as the sun rose over the hills. In Syracuse, the Home National Bank clock and thermometer showed a temperature of 3 degrees below zero. A few snow showers are in the forecast for Friday morning before temperatures climb into the 50s over the weekend.